Thermometers have been used by humankind for quite some time now, and with it, we have been able to accomplish a lot of things. From helping diagnose illnesses to setting the perfect temperature in the kitchen. For whatever reason you might have, buying a thermometer is no easy task, especially if it is a digital one. In this post, we take an in-depth look at what makes the best digital thermometer. First of all, let’s have a look at the different types of digital thermometers. 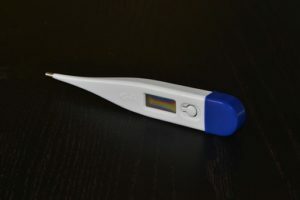 These type of digital thermometers make use of electronic temperature sensors to detect the body heat. For medical purposes, they are utilized in the mouth or armpits. It is especially suitable for infants who cannot be still when the measurements are being taken. As you can tell from the name, this thermometer makes use of infrared waves to read the body temperature. The most common type of infrared wave sensor is the in-ear thermometer. Mostly used for female fertility purposes, basal thermometers are used to get the most accurate readings of the body’s heat. They are usually employed in hospitals, and probably cost more that the above other ones. The first thing that you should have figured out is the level of precision that you need. For the best results, it is best to use one with a digital heat sensor. The infrared one, particularly the one used in the ear can have varied results depending on the amount of ear wax. A good digital thermometer should allow you to store some information in it. This is crucial in ensuring that you keep track of reading. For instance, this feature could be used to track the progress of a child’s fever. Some digital thermometers come with various combinations that allow them to interface with apps, especially smartphone apps. This could be a useful feature and will help in applying the information from the thermometer for much more application.